These switching power supplies are destined for LED and illumination applications in indoor areas. These devices have a plastic housing (IP20), built-in active PFC function, insulation class II, temperature compensation function by external NTC and overload protection by current limiting (auto recovery). They are also protected against short circuit and overvoltage. 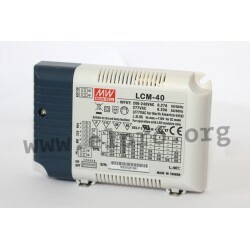 LCM-40 is dimmbable (external voltage 1 to 10V DC, PWM). 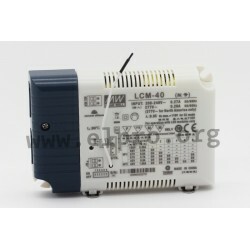 LCM-40DA is endued with DALI (digital addressable lighting-Interface), push dimming function. 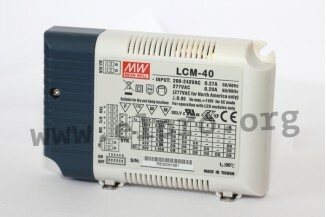 LCM-40EO has a wireless integrated EnOcean module.